Through the American Floral Endowment, industry members are able to establish a Named Fund. Establishing a Named Fund is a great way to show your support of the floral industry and leave a lasting tribute to the industry for years to come. AFE is grateful to all those who have created funds through the Endowment. Contributions to any Named Fund can be made by clicking the donate button below and entering the fund in the “description” box. Undesignated – funds are not designated for a particular project or effort. Designated – funds for a scholarship, research effort or grant. Both types of Named Funds help AFE support research, scholarships and educational efforts to further promote the industry. If you are interested in creating a new Named Fund through the Endowment, please contact AFE Executive Director Debi Chedester at (703) 838-5211. A gift of $25,000 or more can establish an Undesignated Named Fund, a very flexible gift that allows the income to be used where it is needed most at any given time. Donors enter into an agreement that memorializes the gift and acknowledges that this is an undesignated fund. Sometimes wonderful opportunities present themselves unexpectedly and undesignated funds enable AFE to be agile and respond quickly. Teleflora and owners Stewart and Lynda Resnick made a $1 million pledge to AFE that was presented at the AFE Annual Fundraising Dinner in 2012. This fund is the largest in AFE’s history and provides assistance for the industry’s most critical needs. Stewart and Lynda Resnick acquired Teleflora in 1979, and Teleflora has been supporting the Endowment with yearly contributions ever since. Headquartered in Los Angeles, Teleflora is a clearinghouse for transmitting and processing floral orders to customers throughout the U.S. and internationally. Teleflora was formerly known as Telegraph Delivery Service and was founded in 1934 by Edwin S. Douglas. Privately owned since 1979 by Lynda and Stewart Resnick, the company has 3,000 employees worldwide in 20 countries. With approximately 19,000 member florists throughout the U.S. and Canada, it is the largest privately held floral wire service company in the world. One of the largest floral companies in the world, FTD supports their floral network through an innovative spirit, comprehensive education and a commitment to raising the awareness of giving flowers. For more than 100 years, FTD has stood for trust, creativity and worldwide floral delivery. FTD was founded in 1910 in Downers Grove, Ill. as the world’s first flowers-by-wire service, and was originally named “Florists’ Telegraph Delivery.” Five years later, the company began international transactions and the name soon changed to “Florists Transworld Delivery” as a result. In 1914, FTD adopted the Mercury figure as its logo, which has became well known in the industry as the FTD symbol. Over the past century, FTD has grown to have a network of approximately 45,000 florists in 154 countries, including some 16,000 retail florists in North America who can deliver products to nearly 100 percent of the U.S. population. Ball Horticultural Company is an internationally renowned breeder, producer and wholesale distributor of ornamental plants. A family-owned business since it was founded in 1905, Ball has introduced many innovative, award-winning varieties to the world of horticulture, including the Wave® petunia family and Super Elfin® impatiens. Ball is committed to sustainable practices and has highlighted its green accomplishments in its “Sustainability Report.” The company has worldwide production, sales and marketing through its many subsidiaries on six continents. The Ecke Family has been a longtime supporter of AFE and is a strong believer in developing the floral industry. Paul Ecke III was recognized at the 2013 Endowment fundraising dinner as a representative for the family. Ecke is an iconic industry name, and for generations the Ecke family has participated in and supported AFE activities and helped advance the floral industry. The Ecke name is synonymous with the modern day poinsettia, as three generations of Ecke’s developed and promoted poinsettias worldwide. The Smithers-Oasis Fund has been established to promote the floriculture industry by providing support to AFE through unrestricted funds. Smithers-Oasis is a leading global manufacturer and marketer of products for the floriculture industry, sold under the company’s three brands: Oasis Floral Products, Floralife Postharvest Products, and Oasis Grower Solutions. The company provides solution-based products and services to the industry from propagation to home through growing media for the greenhouse grower; postharvest care and handling of cut flowers and potted plants; and floral foam products, wedding accessories, adhesives, tapes, decorative wires, and other specialty products for floral designers. Smithers-Oasis is dedicated to advancing the art and science of floriculture worldwide and is committed to having a positive impact on its employees, customers, communities, and the floriculture industry. AFE’s first unrestricted named fund, the Herman and LaDonna Meinders Fund provides assistance for the industry’s most critical needs. 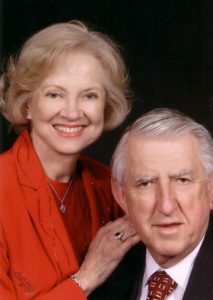 Herman and LaDonna Meinders presented this gift to AFE at the 2011 Annual Fundraising Dinner. Herman is an industry icon and past AFE Trustee. In 1970, Herman founded American Floral Services, otherwise known as AFS, in Oklahoma City, which grew to become international and ranked as one of the largest floral wire services in the world. Herman sold AFS in 1994, and in 2000 it merged with Telaflora, where he continues to serve as Chairman Emeritus. 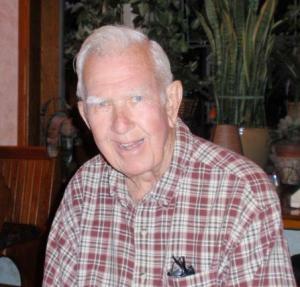 Raised in Pipestone, Minn., Herman attended Oklahoma City University in the 1950s. He strongly believes in and supports higher education and has shared his success through endowments to numerous colleges and universities, including his funding of the Oklahoma City University Meinders School of Business. Herman and LaDonna support local literacy programs designed to aid students needing special educational assistance. 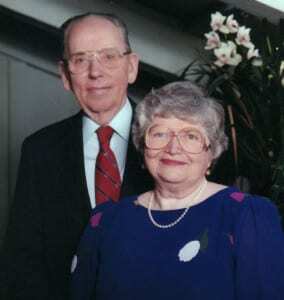 Their philanthropic projects have a broad base, including the Meinders Gardens in downtown Oklahoma City, Major National Cowboy and Western Heritage Museum improvements, the Meinders Chapel at Phillips Theological Seminary in Tulsa and the Meinders Hall at the Crystal Cathedral in California, just to name a few. Herman has received numerous honors both within the industry and for his community efforts. 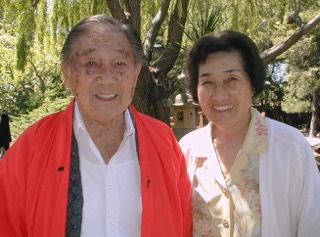 The Yoshimi and Grace Shibata Family Fund was established to honor the late flower grower and wholesale florist Yoshimi “Shimi” Shibata and his wife Grace. Founded by a generous contribution from the Shibata family, this named fund honors the lifetime legacy of Shimi and Grace and their accomplishments in the floral industry. Shimi was a past president of the Mt. Eden Floral Company based in San Jose, Calif. The renowned floral industry leader led the company for more than 55 years. Other related companies owned and operated by Shimi are GM Floral Co and the California–Florida Plant Co, which was a joint venture with Sumitomo Corporation of Japan. Shimi had many leadership roles throughout the industry. To name a few, he served on the AFE Board of Trustees, as well as on the boards and executive committees of the Society of American Florists (SAF), Wholesale Florist and Florist Suppliers Association (WF&FSA), Roses Inc. and the California State Floral Association. He was elected president of WF&FSA in 1972, and in 1976 he was inducted into SAF’s Hall of Fame. In 2015, the California Association of Flower Growers and Shippers (CalFlowers) awarded him with the 2015 Distinguished Service Award, recognizing his leadership, strategic thinking and contributions to the floral industry in California. 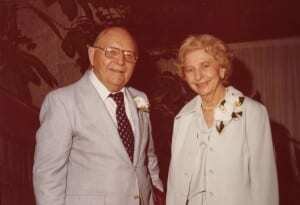 Shimi married Grace in 1947 and they had three children — Naomi, Robert and Michael. Shimi passed away on Oct. 31, 2015. He was 100 years old. Click here for a video documenting Yoshimi Shibata’s floral industry accomplishments and family life. A second video was created in 2016 about Shini and Grace and why the family established the Yoshimi and Grace Shibata Fund. Founded in 1887 by the Society of American Florists (SAF), Hortica Insurance & Employee Benefits is a mutual company dedicated solely to the floral and horticultural industry. It is a proven partner for the industry, providing insurance and employee benefit solutions. Hortica is proud to support the educational and research initiatives of AFE. Hortica has been an active supporter of AFE since its inception. Prior to AFE and SAF joining resources, AFE relocated its offices to Hortica’s headquarters in Edwardsville, Illinois. Hortica managed AFE’s administrative functions for four years during a period of AFE’s restructuring and growth. The Pennock Company was founded in 1882 and is a premier wholesaler serving the Eastern Seaboard with a full selection of cut flowers, floral containers and supplies and specialty items. Today, the Pennock Company continues to grow, with more than 200 associates in eight locations. Pennock sells exclusively to retail florists and outlets and has been a proud AFE supporter since the mid-1970s. The Tagawa family started in 1967 with Frank Tagawa and his five sons producing vegetable transplants for their truck farming operations. 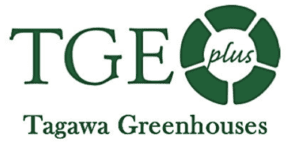 Today, the family has three main companies – Tagawa Greenhouses, Tagawa Gardens and Ball Tagawa Growers. The Tagawa family recognizes the importance of giving back to the industry and staying involved. Egon Molbak was born in Denmark and was educated in the greenhouse/floral industry. He graduated from Odense Technical School in 1945. He was chosen in 1948, through the Scandinavian American Foundation, to spend a year in the U.S. to further his knowledge in the floral industry. After returning home in 1949, Egon enthusiastically persuaded his then-fiancé Laina to move to the U.S. with him. They got married in 1950 and had their honeymoon in the U.S., where they eventually settled down and started their own business. In 1956, the Molbaks purchased five small, glass greenhouses in a rural area outside Seattle. The greenhouses were initially used for carnations and chrysanthemums, but they soon switched from cut flowers to potted plants, specifically mums and bedding plants. Laina started the retail business that is now known as Molbak’s Garden + Home, a premier indoor and outdoor center in Woodinville, Washington. It is now owned by the couple’s son Jens and attracts more than one million visitors each year. It is known for its relaxing cafe and wide selection of plants and gifts, and is a host employer for AFE’s Vic & Margaret Ball Intern Scholarship Program. Blackmore Company is a producer and distributor of horticulture supplies and equipment. Founded by Fred Blackmore Sr. in 1966 and currently managed by his son Skip and his grandson Scott, they have been able to celebrate 50 years in business due to the support of their loyal customers and the help of their dedicated employees – several of which have worked for the company for over 30 years. Mellano & Company has been a supporter of AFE dating back to 1978. Mike Mellano, Batista Castellano and others were recognized for the company’s substantial contributions to the industry and their support of AFE at the 2013 Endowment fundraising dinner. Mellano & Company is a leading cut flower grower, shipper and wholesaler that started when Giovanni Mellano set up shop in 1925 as a wholesale distributor. Now in its third generation, Mellano & Company has been plowing ahead in floriculture ever since and is headquartered in its Los Angeles Flower Market location where Giovanni first began. The growing operation was relocated in 1970 to sunny San Diego County in the San Luis Rey Valley. Mellano & Company prides itself on its progressive ideas, many of which have been developed into industry-wide improvements in growing and logistics. Now with more than 80 years of experience in the industry and still plowing ahead, Mellano & Company attributes its success as a true family business to time honored tradition, extraordinary innovation and a whole lot of elbow grease. The Godfrey family of Olive Hill Greenhouses, strong supporters of AFE, established a named fund within the Endowment in 2013 to ensure critical industry needs could be addressed as necessary. 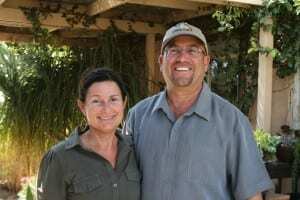 Olive Hill Greenhouses started in 1973 in Fallbrook, Calif., as Tony and Sue Godfrey’s part time venture and has since grown into one of the largest interior plant producers in the state, with production facilities spanning 760,000 square feet. Every week Olive Hill trucks deliver plants all over Southern California and ship plants via common carrier to other areas. Since its inception, Olive Hill has set high standards and has become known for quality, consistent supply of plants and customer service. In 2000, Olive Hill Greenhouses became a second generation business with Tony & Sue’s daughter Denise joining the sales team. Olive Hill sets quality standards high and has the support of excellent customers who appreciate the quality plants and fantastic employees who have sought to implement Tony’s original vision for the company. For more than 20 years, BioWorks has been helping customers in the horticulture, specialty agriculture, and turf markets. The focus of BioWorks has consistently been on providing environmentally-responsible, safe and effective products and programs for managing plant diseases, pests and nutrition – and on providing knowledge and leadership to their distribution partners and growers. BioWorks also has a scholarship fund through AFE that awards students with $1,000 per year. The Tom Butler Family Fund was established in 2014 to provide general undesignated funds to the American Floral Endowment (AFE). 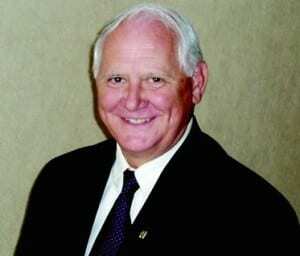 Tom was a renowned industry leader and served as Chairman of AFE from 2010-2012. He continued his dedication to AFE by serving as AFE development chairman and emeritus trustee until he passed away on Aug. 14, 2014. Born in Detroit, Tom began his distinguished career in the industry more than 44 years ago. After holding multiple prestigious industry positions, he joined American Floral Services (AFS) as President and CEO in 1985 and in 2000 led the company’s successful merger with Teleflora, creating the world’s largest flowers-by-wire company. In his role as Teleflora Chairman, Tom guided Teleflora as a trusted business partner, national marketer and technology innovator for independent retail florists. In addition to serving as World President of Teleflora International, he was a member of the American Academy of Floriculture (AAF) and Professional Floral Communicators-International (PFCI). 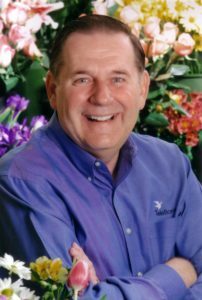 He was a past board member for the Society of American Florists (SAF) and was inducted into the SAF Hall of Fame in 2012 in recognition of his outstanding contributions to advancing floriculture in America. Tom was a member of numerous national and state floral associations and has received countless awards recognizing his exceptional dedication to the industry. He and his wife, Becky, resided in Salt Lake City and were frequent visitors to his daughter Amy and her family in Dallas. Born in Germany in 1942, Peter Ullrich moved to the United States in 1962 and was Chairman of Esmeralda Farms. He was one of the first growers to establish a presence in Latin America, and foresee the possibilities of its favorable climate in which he could grow flowers on a year-round basis. Esmeralda Farms is a market leader in the floral industry committed to breeding, growing and distributing the highest quality fresh cut flowers. Based in Miami, Esmeralda is dedicated to the sales, marketing and distribution of its flowers and only sells flowers grown by its own operated farms in Colombia, Ecuador and Peru to allow for the strictest standards of quality assurance and consistency. Peter Ullrich and Esmeralda Farms have been proud supporters of AFE since 2000. Peter passed away on June 29, 2016. The Scotts Miracle-Gro Company was established in 1868 is the world’s largest marketer of branded consumer lawn and garden products. The company is dedicated to inspiring people of all ages to express themselves on their own piece of the Earth. In the U.S., Scotts®, Miracle-Gro®, Ortho®, and Tomcat® brands are market leading in their categories, as is the consumer Roundup® brand, which is marketed in North America and most of Europe exclusively by Scotts. Outside of North America, the Company has various popular brands, including Miracle-Gro®, Evergreen®, KB®, Fertiligene®, Celaflor® and Substral®. Scotts Miracle-Gro has been a supporter of AFE since 1983. Carlstedt’s LLC has 15 locations in six states serving the Southeast United States with E-Commerce site – FlowerGeneral.com, powered by Carlstedt’s. Distributors of quality cut flowers and floral accessories, Carlstedt’s established this new fund to promote the floriculture industry through AFE. John and Janet Kister of Sunlet Nursery have contributed to the Endowment for years, and their pledge establishing an undesignated named fund also allows AFE to address the most pressing industry issues. John and Janet Kister established Sunlet Nursery, Inc. in 1985 on the premise of offering more unusual flowering plants than were typically available. Located on 25 acres in the rolling hills of Fallbrook, Calif., they make use of the ideal, Mediterranean-like climate to produce a consistent, high-quality product. Sunlet Nursery currently supplies independent garden centers, wholesale florists and supermarkets across the U.S. with an eclectic mix of flowering and foliage plants. A gift of $50,000 or more can establish a Designated Named Fund. Money from these funds is co-mingled with AFE’s corpus for investment purposes but are tracked in the financial record separately. The fund starts with the gift amount, and additional gifts can be added over time. Investment gains and losses are distributed to it pro-rata, as well as operating expenses, and distributions are subtracted. In this way, the fund can be reported on individually to the donors, with the fund balance at any point in time, as well as distributions that have been made as a direct result of this gift. The donor enters into a separate gift agreement that memorializes the gift, indicates the reason behind the gift an where distributions are allocated, the history of the donor, both in the industry and within AFE, and how the fund will be administered. Established by CalFlowers, this scholarship is for undergraduate students attending an accredited California college or university (first priority) or an undergraduate California resident attending an accredited college or university elsewhere in the U.S. (second priority). Students applying for this scholarship do not need to be majoring in an agricultural program but must demonstrate a commitment to seeking employment in the floriculture industry after graduation. A work history or a meaningful internship experience in floriculture is necessary if the applicant is not obtaining an agricultural degree. Students should have a GPA of 3.0 or higher. This scholarship was established in memory of the late Bob Gunther, owner of Gunther’s Greenhouses & Florist in Oceanside, New York. It is intended for students from Long Island and New York who are studying ornamental horticulture at a community college or four-year institution in New York. This includes floriculture, landscape maintenance, landscape design, turf and any other courses of study related to ornamental horticulture. A new travel grant was established for retail florists in Arizona to pursue floral industry educational or design events. The grant assists Arizona florists in traveling to national industry events for educational programs and to provide networking opportunities on a national level. Each year, one recipient will be selected by AFE’s Education Committee to receive the travel grant of up to $1,000 to help cover the cost of attending an out-of-state industry educational event. The grant is open to owners, managers and employees of traditional retail florists with a brick and mortar storefront in Arizona. The application deadline is October 1 each year (for travel in the following year). Ken and Deena Altman, owners of Altman Plants, began their love of the industry in 1975 with what started out as an innocent hobby. With an avid interest in plants, their business slowly transformed itself into a wholesale nursery business encompassing over 1700 acres in six states. Today, Altman Plants supplies exciting plant programs to large retailers with point of purchase materials, sales reps to assist with merchandising, a large distribution system that covers the United States, and offers expertise in growing plants from cactus to herbs, from grasses to perennials, and more. The Altman’s are highly appreciative of the field of horticulture and enjoy giving back. They have established the Center for Applied Horticultural Research as an effort to help the industry and they support numerous efforts to improve education and research for the industry. The Altman Family Scholarship is for full-time M.S. or Ph.D. students in floriculture or horticulture with a career goal in becoming a leading floriculture scientist, marketer and/or educator. The Todd Bachman Memorial Fund will underwrite AFE’s quarterly print and electronic Bulletin in perpetuity. 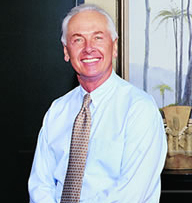 Todd Bachman served as chairman and CEO of Bachman’s before his untimely death in 2008 and epitomized the company’s reputation for hard work and high ethical standards. 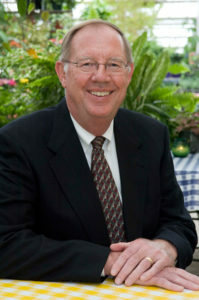 In addition to being active in many state and national industry organizations, Todd served 10 years on the AFE board and as chairman in 1996 – 1997. Because of his great leadership, he was inducted into the SAF Floriculture Hall of Fame posthumously in 2010 in recognition of his outstanding contributions to the industry. Todd was not just a great leader – he was also known for being very personable and a great communicator. He treated family, friends, colleagues and employees with the highest respect, dignity and compassion and always made others feel appreciated . Those who knew him will always remember what a great communicator he was and his outstanding leadership and devotion to work and family. His wife and daughters are honored to carry on his legacy. The Del Demaree Family Fund will establish an internship program to market the industry as a viable career path to attract top collegiate talent with a concentration in business. Delmar “Del” Demaree has an unsurpassed commitment to the floral industry and to the Endowment, where he served as chairman in the early 1990s. Del, chairman of Syndicate Sales, Inc., has earned the utmost respect of his peers and colleagues throughout more than 60 years in the industry, and he is acclaimed for his foresight, enthusiasm and business acumen. Del has led many industry organizations over the years, notably as Society of American Florists (SAF) president and as treasurer for the Wholesale Florist & Florist Supplier Association (WF&FSA). Further, he received the American Institute of Floral Designers (AIFD) Award of Merit for his support and promotion of AIFD’s educational goals and also the Leland T. Kintzele Distinguished Service Award from WF&FSA. Additionally, he has served as chairman for numerous community boards and committees and was awarded the 2013 Hall of Legends award by his community in Indiana. The Demaree Family has been a generous AFE supporter for decades and continues their involvement, with Del’s daughter, Syndicate President Laura Shinall, currently serving as an AFE trustee. 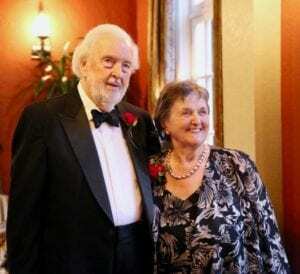 James and Helen Phillip Scholarship Fund (established in 2008 with a $500,000 gift). Vic and Margaret Ball Intern Scholarship (established in 1992 with an $800,000 gift). Christian B. Nissen Research Fund (established with a $50,000 gift in 2008 by the Nissen Family). Additional designated named funds administered by AFE include Scholarship Funds in honor of industry members.